As Viktor Orbán's Hungary faces its 2 October referendum on European migrant quotas, diverse opinion is being silenced through partisan cultural funding. 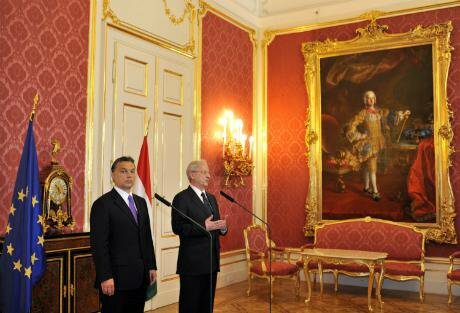 Prime minister Viktor Orban and former president László Sólyom at the Presidential Palace, Budapest, 2010. AP Photo/Bela Szandelszky. 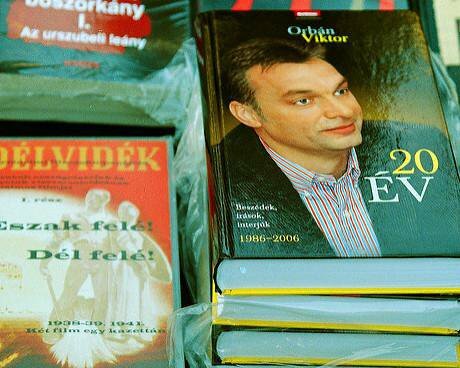 All rights reserved.The English-speaking press has paid relatively little attention to the changing cultural and artistic landscape under Hungarian prime minister Viktor Orbán. Yet its potential repercussions are profound for both the European public and those who might like to follow in the footsteps of Péter Esterházy, the world famous Hungarian author and vocal critic of Orbán who died in July. Exacerbated by the economic crisis, cultural spending in Hungary has come under fire for lacking transparency and breadth. Yet in an environment where Orbán’s nationalistic endeavours have made global headlines – Hungarians will vote on Sunday on whether to approve the European Union’s migrant quotas – nurturing a plurality of voices is more important than ever. Critics say Orbán is narrowing the playing field – boosting support for an elite circle close to him and ignoring the rest. In May, it emerged the country’s National Cultural Fund (NCF), falling partly under the control of central government, has slashed funding agreements for a number of cultural magazines, including 59-year-old classical music title Muzsika, theatre magazine Színház, Jewish journal Szombat, and Beszélő, which carries articles on democracy and film criticism. Though the money involved is relatively small, the effect of such cuts, for those involved, is significant. Artist Kinga Tóth, a board member at literary organisation József Attila Kör, the second largest literary association in Hungary, which supports young writers – including, at one point, a young Esterházy – says the organisation’s own subsidy cuts affect long-term freedom of expression. "This organisation is very important, because it is the first step to the best Hungarian publishing companies like Magvető and Libri," says Tóth. “Without an organisation like this the younger generation has little access to publishing, to literary life, to the biggest publishing companies." According to Compendium, an online platform started by the Steering Committee for Culture of the Council of Europe, low-cost culture was common in Hungary under socialism. After the fall of the Berlin Wall, the country looked, in part, to western models, and established the arms-length NCF in 1993. Since then, conservative governments have put greater emphasis on national heritage than left-wing alternatives. Efforts "to shelter culture from political and ideological influences have not yielded lasting and overall success”. Since the election of the centre-right Fidesz in 2010, a huge governmental reorganisation took place and the highest level of cultural administration came under the control of the ministry of human resources. One of the main sources of anger among the country’s artistic community is the increasing power of the Hungarian Academy of Arts (the Magyar Művészeti Akadémia or MMA), a former non-governmental organisation now recognised in the Hungarian constitution. The MMA is involved in the country’s major cultural decisions, and its members are given a generous monthly stipend. According to Budapest-based English-language platform the Budapest Beacon, the MMA’s president, György Fekete, ultimately appointed by Orbán, once said his objective was to “counter liberal tendencies in contemporary fine arts”. As reported in a series of articles published this year on Hungarian news platform 444, the MMA’s budget and salaries are increasing steadily, with the NCF's funding decisions frequently falling in favour of projects with links to those in official positions at the organisation, which has considerable overlap with the MMA. Several prominent buildings have been transferred into the MMA's possession, including the nineteenth-century neoclassical Műcsarnok Kunsthalle on Heroes' Square. She says that the country’s “illiberal-democratic models” are compatible with capitalist modernity, and may be understood with reference to the “cultural industries” discussed by Max Horkheimer and Theodor Adorno in the 1940s, which can be manifested in liberal or illiberal, in democratic or authoritarian ways. “The case of Hungary today illustrates the collaboration between market and a strong state in the production of an illiberal regime,” she says. The case of Hungary today illustrates the collaboration between market and a strong state in the production of an illiberal regime. Either way, a cultural scene dependent on private capital can be compatible with a nationalistic status quo. Earlier this month, 444 reported that the Hungarian government has spent some 32 million euros on publishing anti-migrant propaganda. 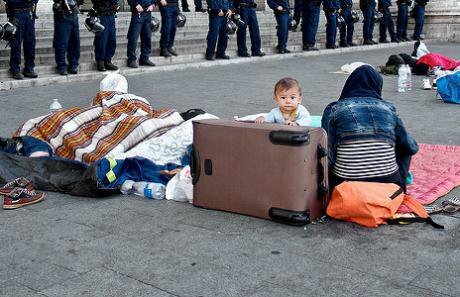 In a country where the hands of cultural production lies in the hands of so few, and those people are relatively wealthy, any action to undermine the variety of voices reaching voters seems significant when Europe faces frequent choices over a continent-wide refugee crisis. By the look of events this year in Hungary, the breadth of audible opinions is as limited as ever.